Coupon works March 14, 2019, thanks! Do you need a cleaner or some help with something around your home? Handy.com is the place for anyone looking to hire someone to help put furniture together, mount a TV, paint, or clean. Handy was founded in 2012 and operates in the U.S., Canada, and the United Kingdom. In June of 2015, Handy announced that they have completed over 1 million bookings for cleaning and other services. Not everyone has a friend or family member who can fix a toilet or air conditioner. Use Handy to find cleaners for your home or office or hire someone to fix an electrical outlet or ceiling fan. Find a plumber to help with drains or even someone to help with garbage disposal. You can use the services offered by Handy to find a mover or painter or even someone to help hang blinds or curtains. Use Handy.com for almost anything because not everyone can do anything themselves. Whatever it is you need, you can pay less when you use one of these Handy coupon codes. Are you feeling skeptical about having a stranger in your house? We don’t blame you because it can be intimidating for some people. At Handy, all of the professionals are friendly, experienced, insured, and have background checks. Simply visit the site or the Handy app on your smartphone or tablet and book withing sixty seconds. All you need to do is enter some basic information about the service you require and you’ll receive a price. You can schedule a service for as early as tomorrow! If you aren’t satisfied with the work completed, Handy will issue a complete refund. 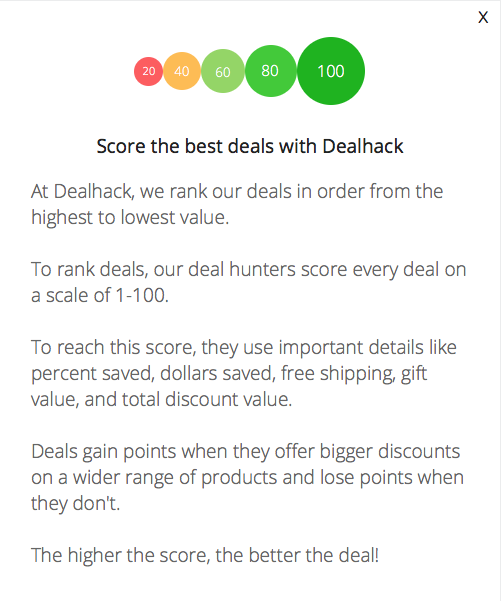 Our team here at Dealhack are a group made up of savvy savers and coupon experts. We rank the offers based on the quality and amount of the discount offered. Find our best coupons on the top of this page. Most of our top offers will be in the form of a promo code. Enter the Handy promo code at checkout to redeem the offer. It’s that simple. Check back here frequently because we are always updating our Handy coupons. You can always be sure to find a great discount right here on this page. We work hard to bring you the best Handy promo codes because we know everyone likes to save. Do you have any questions for the Handy.com team? Visit their contact page or call 1-888-847-6036. Furthermore, learn more about the professionals you can find using Handy.com on social media. Follow them on Facebook, Twitter, and Instagram because you can even find more ways to save on social media. Grab a coupon from this page because we want you to save. Download the Handy iOS or Android app to book your next cleaner or handyman immediately. Do you want to make some extra money cleaning or helping someone out? Become a Handy professional today. It’s easy to sign up and the schedule is flexible. If you are not satisfied with the work done by a Handy professional, Handy will refund your money. Browse this page to view all the locations you can find a Handy professional to help you with everything you need. What is Today’s Best Handy Promo Code? The best Handy promo code right now is AFF30OFF. This code is for '$30 off First Cleaning For Any Plan'. Copy it and enter it on the Handy checkout page to use it. All reservations can be made online or by using the Handy mobile app. A shipping policy is not required. Handy offers a 100% money back guarantee if you are not happy with their services. You can also cancel any appointments before 24 hours from the scheduled date for free.